Coming up on the show this evening: 1950s Gospel, 1960s Cumbia, 1970s Ghanaian Afrobeat, 1980s Gipsy Swing, 1990s Sevillanas, Noughties Fado and Teenies Reggae! But first this: In May 1970 Eric Clapton, Bill Wyman, Charlie Watts, Steve Winwood and a host of others (including various Stones and Beatles) came together to record an amazing album of blues - and the catalyst for all this? One Mr Chester Arthur Bennett. 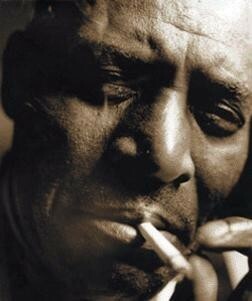 Better known to you and me as … Howlin’ Wolf! That was a track called “Built for Comfort” off the 1970 album “The London Howlin’ Wolf Sessions” an experiment that teamed up the legendary Chicago Blues man with some of the then cream of the British crop. OK, so why am I kicking off a world music show with the Blues? Well, it IS world music - in fact along with Jazz, Rhythm and Blues, Cajun, Zydeco and Country music it is America’s very own world music. 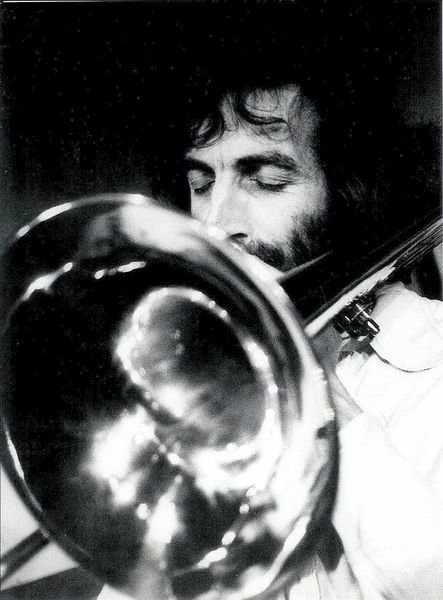 But more particularly, because yesterday marked the 2nd anniversary of the death of my father - one of two huge musical influences on my life (the other being Alexis Korner) both of whom planted the seeds of my interest in the wider musics of the world. So as a little homage to my father I’d like to share with you some of the tracks, musicians and styles that I grew up with during the 60s and 70s and into the 80s. 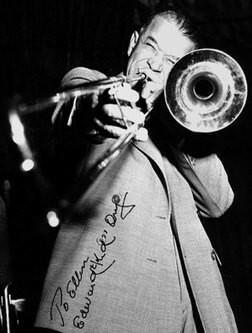 My old man played jazz and blues trombone, teaching himself from the age of 17 and throwing himself into the rebel music of his day (that day being 1951) - New Orleans Jazz! “Rebel Music”?! I can hear you say. Why, yes. to people brought up in the war years on American crooners and the British “Hee Hee! Pop the Kettle on Mother!” approach to musical entertainment, New Orleans jazz was wild, unpredictable, rebellious, You needed to learn it by ear, not by notes and best of all - yer parents hated it! Things really don’t change do they? Only one more jazz one now because I can feel my brother already gnashing his teeth and reaching for the tranquilizers. There are so many musicians I could pick that I remember him spinning records to in the front room, but this guy is probably the one that most subconsciously influenced my old man’s playing style - full-on broadsides of ‘bone and big sweeping notes that used the whole length of the slide. This is on vinyl - an old Vogue label ep - and it’s “St Louis Blues” by the great Kid Ory. If you’ve just tuned in - don’t worry, you’re still listening to WorldBeatUK with me Glyn Phillips - I’m just taking the opportunity to use this first hour to commemorate the 2nd anniversary of my father’s death with a little homage to what ‘world music’ we could lay our hands on in those far off days before the 80s. We’ve had Blues, we’ve had Jazz; now for the 3rd of the great triumvirate of 20th Century Black American music: Gospel! 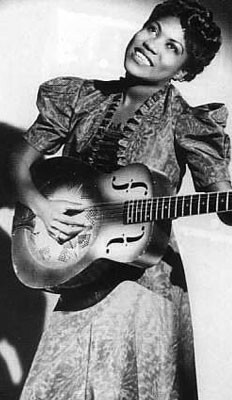 And in our house two ladies stood head and shoulders above the rest: the excitable dynamo Sister Rosetta Tharpe and the mighty rock of faith that was Mahalia Jackson. 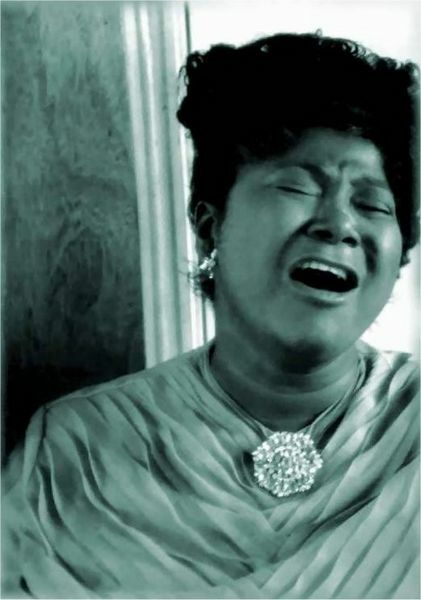 We’re going on a journey bound for glory with Sister Rosetta on “This Train” and that’s followed by an absolute masterclass in control and deep belief in Mahalia Jackson’s “In The Upper Room”. Firstly though . . . All Aboard!! Ok, Briefly back over the Atlantic to the States. New Orleans Jazz might have very unjustly got a bad name from the ranks of the ‘Cool Jazz’ brigade (you know, they should really study their musical history, Jazz did not start with Bird, Trane and Miles!) - however this next track sets out to demonstrate the fuller picture of the Crescent City - on the one hand the Funky, Funky, PHONKY brass bands and on the other the amazing pianists. 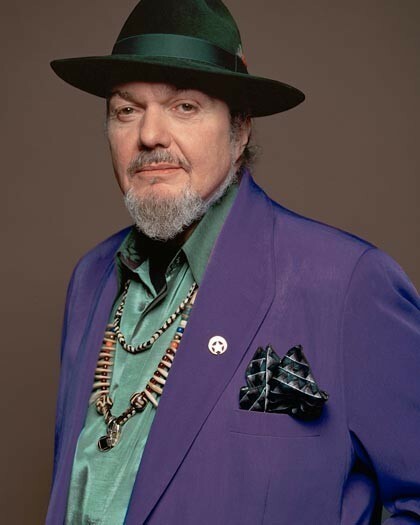 This track combines two examples of the best - it’s The Dirty Dozen Brass Band fronted by the Night Tripper himself, The Gris Gris Man, the living embodiment of New Orleans Juju, Dr John Creaux - or just Mac to his friends. “It’s All Over Now”! During the 60s and 70s besides listening to oceans of rock (proper rock mind!) my ears were always open to hear anything that spoke of foreign climes - there wasn’t a lot but I remember Dad playing Ravi Shankar, Manitas de Plata, The Drummers of Burundi etc all of which swam around in my head next to The Beatles, Santana, Zeppelin, Janis Joplin, Hawkwind, Slade - yes, Slade, why you got a problem with that? However, one chance meeting had a profound effect on my musical development as a teenager. During the later 70s my father and I pitched up at a small jazz festival in Kent and met four amazing Belgian musicians (yes, I’m back talking about Belgium again). It was a gipsy jazz quartet called Waso and they were to become our friends and unwitting musical mentors for years to come. 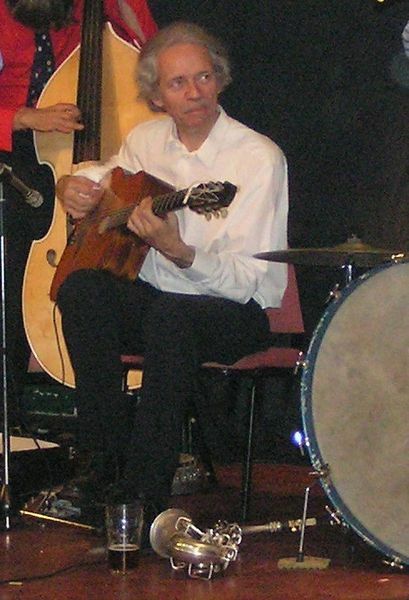 The band consisted of Michel Verstraeten on Double Bass, the Manouche gipsies Vivi Limberger on rhythm guitar, and his cousin Fapy Lafertin on lead guitar and Koen de Cauter on reeds and vocals. Actually they were all multi-instrumentalists but more of that later. First off I’m going to play a track from their 1983 album “Gipsy Swing Vol 5” which is typical of the style that made them firm favourites of discerning British jazz audiences during the 80s. This is their gipsy jazz version of the old Russian theme “ - Ochi Chorniye” - “Black Eyes”. That last track was taken off an album recorded in 2004 called “Django!” and featured not just Koen and Fapy from the original Waso, but also two of Koen’s sons Waso de Cauter on rhythm guitar and Dajo de Cauter on double bass. So far, so good. But is this world music? Yes, yes, yes! You just need to leave your preconceptions at the door. As the night went on, Waso would treat their British audiences to a taste, just a taste of the hidden world of Central and East European music. You have to remember it was virtually impossible to hear anything like this in Britain 30 years ago, let alone buy it anywhere. To finish off the North European gipsy section that was the wonderful Lavotta from an album called “Le Chemin des Tsiganes” and a track entitled “Seranade” - You can get all the details for these tracks right after the show by logging onto my world music website, called appropriately enough www.worldmusic.co.uk and then clicking on the Radio category - there you’ll find playlists for all my shows. Just to remind you, you’re listening to WorldBeatUK here on Rhubarb Radio, with me Glyn Phillips and for this first section of the show I’m paying homage to my late father and to the music he either introduced me to or discovered with me back in the 60s, 70s and early 80s. I would like to have played you some 60s music by the Southern French gipsy, Manitas de Plata - but I can’t put me hands on his album - so this is again from my father’s collection; it’s from Andalucia in Southern Spain and it’s a sevillana by the choral group Salmarina called “Fue en Sevilla” (It Happened in Seville). Ok this is the last one in homage to my father. You might remember that earlier on in the programme I played a piece by the most famous fadista of all time, Amalia Rodriguez; the next song is by the most famous fadista of her generation, who might yet prove to eclipse Amalia in time. Who else but: Mariza. Just as with Eva Cassidy, I can remember distinctly the first time I ever heard her; I was driving along College Road in Handsworth when this astounding voice came out of the radio and I had to pull over to the kerb and listen, since all the hairs on my arms were standing up and I began to feel faint. Now THAT’s the power of music! 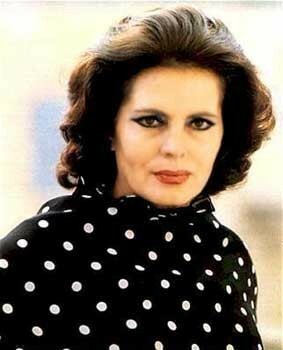 My father discovered her around the same time in the early noughties and loved her voice equally. One of my last memories of true closeness to him took place after he’d been told he didn’t have long to live; He was struggling to breathe through his oxygen mask, so we just sat next to each other and he got me to put on a documentary about Mariza and her life. We sat there experiencing the joy of music, the longing for more time and the sadness of impending loss. True ‘saudade’. The next week he stopped listening to any music at all, because he couldn’t bear the pain of knowing he’d never play trombone, never sing, never dance, never truly live again. This is “Meu Fado Meu”. Welcome back to WorldBeatUK with me Glyn Phillips right here on Rhubarb Radio. You were just listening to the sounds of Portuguese singer Jose da Camara singing a song called “Emoções” (‘Emotions’ in English) from the album of the same name, subtitled Jose da Camara Canta Roberto Carlos (J d C sings the songs of Roberto Carlos). That’s on the Sony label 2010. A quick reminder that this is the last show on a Monday! If you tune in next Monday between 6-8pm you’ll probably get the wonderful Marc Reck, but not me. WorldBeatUK is moving from next week to WEDNESDAY evenings at the slightly later time of 7-9pm UK time (overseas listeners please check the time differences because the UK’s clocks go forward an hour this weekend coming!). So that should be much better for those who struggle to get back home in time for 6pm to join me. There’ll be no excuses now! Now here’s a band that are playing here in Birmingham next week at the Kitchen Garden Cafe in wonderful uptown Kings Heath on Monday 4th April at 8.30pm. I was going to get them to come on the show and play live for us, but of course as you’ve just heard, I won’t be here on Monday - because I’ll be here next Wednesday! 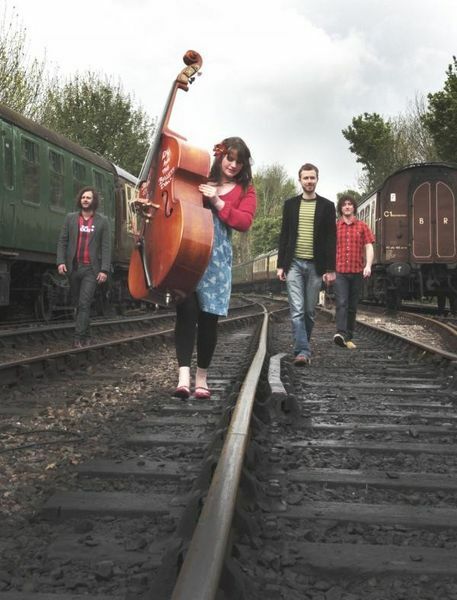 The band’s called Polly and the Billets Doux an eclectic mix of folk/soul/pop and I don’t know what really - but it’s nice! Sort of halfway between Bonnie Raitt and Norah Jones. This is from their album “Fiction, Half-Truths and Downright Lies” and it’s called “Lead Me On”. You’ve just been listening to a pair of Birmingham’s finest young musicians who play what’s often referred to nowadays as ‘Americana’ - as I’ve been trying to point out all through the programme, world music is a lot broader than you might think. That was The Rosellys and “Caught Me At a Bad Time” from their album “One Way Street”. Check out their website www.therosellys.com. 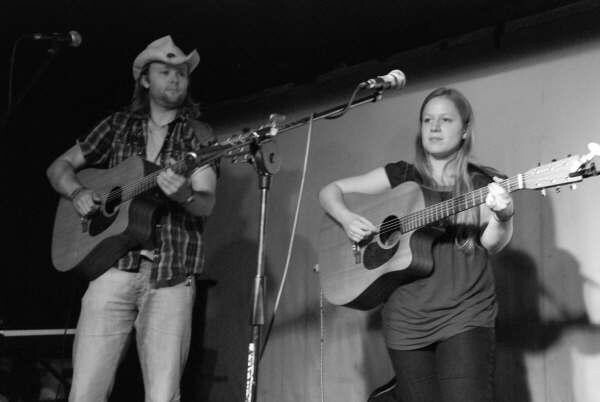 They often play at the Tower of Song in Cotteridge, South Birmingham and are well worth checking out indeed! Ok, here’s a tune that at first seem to have overtones of American folk and hillbilly, but is in fact performed by the Finnish-Swedish accordionist, Maria Kalaniemi - originally written by Hilma Ingberg, probably in the early 20th Century. I’d love to know whether it’s the Appalachian influence on Scandinavia or the Scandinavian influence on Appalachia in this tune - who knows - but I do know I like the track. This is from her 2010 album on the Aito Records label entitled “Vilda Rosor” which means ‘wild rose’ and it’s a track called “I Fjol” - which I have no idea what it means. Just enjoy! That was another track by someone I featured last week, the Colombian producer and musician Sr Ortegon and a track called “Muchacha” (preceded by a weird phone conversation to someone’s granny . . .). Ok let’s stay in Colombia and return to that great album I played last week: “Cartagena: Curro Fuentes & the Big Band Cumbia & Descarga Sound of Colombia (1962-72)” on the Soundways label. This is a cumbia with a tango intro by the great Lucho Bermudez. “Fiesta de Negritos”. A Bailar!!!! Sticking with re-releases from the golden years, this next track is from a recent re-release of Ghanaian Highlife and Afrobeat Classics from 1973-1980 on the Strut label, called “Life Stories” and all of the tracks are by or associated with Ebo Taylor. I’m hoping to play a lot more from this label - there’s a new album coming up called “Nigeria 70” - so as soon as I get that, I’ll play some stuff off it for you (big shout out to Stephanos!). In the meantime this is a heavenly slice of music called, funnily enough, “Heaven”. . .
Now closer to home - much closer. We here in the UK like our reggae; here in Birmingham we really like our reggae - and we’ve got the musical pedigree to prove it. From my neck of the woods, Handsworth, one band has stood out on the international stage. Who else but Steel Pulse - and founder member Basil Gabbidon is still playing around Brum with his band, Gabbidon, and I was lucky enough to be playing at the same venue (the Tower of Song in Cotteridge) as him and Carol Brewster, the soul and gospel singer, a couple of weeks ago. This is from his recent album called “Reggae Rockz” - it’s “Kool Runnings”. Sticking with reggae, this is a great Jamaican band name of C-Sharp, who wrap some sweet tunes around some very insightful lyrics. Really liking their work. They’ve had hits in Jamaica with “No More” (that dealt with the often taboo subject of severe depression) and more recently “Nurse” (in 2009). This is from their new - as yet unreleased - album, “The Invitation”, and it’s a fitting cry to the madness of the world all around us today. This is called “What’s the Matter with the World”.